John Ronald Reuel Tolkien is the man behind orcs, elves, swords and sorceries, and is the father of modern fantasy literature. But before we explore Middle-Earth, let’s consider the life and legacy of the man himself. There were some rare events in his early life that began to shape his literary genius. His childhood days in South Africa did not leave too many impressionable moments in his mind, since he was still very little when he lived there, but a few of the incidents remind us of some of the well-known scenes in The Lord of the Rings Trilogy. In one of the few stories remembered by a grown Tolkien, he recalls how as he was beginning to walk he stumbled into a tarantula. It bit him, and he ran in terror across the garden until the nurse snatched him up and sucked out the poison. His biographer, Humphrey Carpenter, observed: “In his stories he wrote more than once of monstrous spiders with venomous bites.” What do we see in The Two Towers? We see a giant venomous spider that the little Hobbit needs to overcome. Even his very early experiences began to stir the literary juices of Tolkien. A point that all Tolkien’s biographers make of his early childhood is an emphasis on the heat. His young brother, Hillary, did quite well in the South African weather, but Ronald Tolkien and his mother struggled greatly with the weather. This led Mabel, their mother to go back to Birmingham, England, and leave Arthur behind in South Africa working. This is a crucial point in the life of Tolkien, because once they moved everything would change. Whereas Ronald’s health improved in England, his father Arthur’s health declined rapidly in South Africa. In November 1895 he contracted rheumatic fever. When he notified his family of his illness he had recovered a bit, but by January when Mabel was preparing to return to South Africa to visit Arthur, she received a telegram informing her that Arthur had suffered a severe hemorrhage and Mabel should expect the worst. On February 15th, 1896, he was dead. Ronald Tolkien was very little and did not have many memories of his death later on, but his mother Mabel suffered greatly, primarily because though Arthur was a banker, the money he left “was scarcely sufficient to maintain Mabel and the two children even at the lowest standard of living. And it is here where we begin to see that Tolkien would have not been the genius he ended up being were it not for his mother’s perseverance in providing an education for her children. She began homeschooling her children. She taught them reading, writing, English, French, and Latin (which was Ronald’s favorite language at the time). He proved to be an excellent student. He learned to read at four and soon began to write. He was an excellent artist and was fascinated by the trees in his town. One of the things Ronald recalls is his hobbit-esque times he had with his brother picking flowers and mushrooms at a farmer’s yard. Later he would write that he spent lovely summers just “picking flowers and trespassing and we had to go over the white ogres’ land.” Of course, you remember this scene in the first book when Sam and Frodo are leaving the Shire and trespass the land of one of the farmers. This is a personal story illustrating the shaping of what would one day become one of the greatest Trilogies in the Western World. Mabel’s conversion to Roman Catholicism was the cause of another kind of family loss for the Tolkien boys. While there is no record of any of Mabel’s Methodist siblings and other relatives disowning her Unitarian father, they did ostracize Mabel for her religion and cut off what financial help they were giving to her and her two boys. According to some accounts, the anger and opposition, in addition to impoverishing her, also hurt her health. But, she remained steadfast and gave instruction to her children. This is a sad moment in the life of Ronald Tolkien, because not only did he not have a father-figure, but now he lost the extended family. And his mother suffered an even greater loss. But the Catholic parish was good to the Tolkien’s. Mabel entrusted the boys to the church’s care. Tolkien grew in his understanding of Orthodoxy, and this began to shape the person of J.R.R. Tolkien. Later his mother died in a little cottage all alone, and Tolkien viewed her death as the death of a martyr who sacrificed her life for his own life, and who gave everything she had for his sake. This sacrificial theme plays a role in the Lord of the Rings. In the Trilogy, we begin to see that Tolkien is represented by the hobbits. The hobbits need to sacrifice their lives of joy and peace at the Shire for the sake of others. They abandon their loved ones and family members. I think the death of his mother plays a big role in forming this motif in the Trilogy. Tolkien grew and became a formidable rugby player, and also a linguist of first class. He was so gifted in languages that he began to form his own language. His intellectual interest increased even more when he started the Tea Club and Barovian Society. And they would meet frequently for tea and discuss their particular interested. For Tolkien, it was Northern European Languages and Legends. Tolkien’s gifts were conspicuous, and this eventually led him to change the literary world. It was his background as an orphan, home-schooled by a faithful and sacrificial mother, the influenced by his local priest who cared for them and watched over his soul, and his affinity for strange languages that propelled Tolkien to be more than just another writer, but a writer who cherished his faith and heritage, and who did not abandon all hope when life seemed to crush him, but persevered in his gifts. “Our world would be poorer without two other worlds: Narnia and Middle-earth,” said Christopher Wright. Tolkien produced a mythology that was internalized. He produced a world that others could imagine. The casual reader, or even the casual Christian reader will look at The Lord of the Rings and admire its poetic brilliance and the protagonists’ perseverance, but you need a good set of Christian eyes. The way you gain these eyes is by training them to see the world not just a mechanical production of God, but as a witness and a testimony to the glory of God; to see the world through the story of God, and then to judge every other world (“sub-creation,” to quote Tolkien) by the story of God’s world. In other words, the story of God is the model for every other world. This is why we can watch or read anything decent in this world and immediately see facts that reflect the wisdom of God. If we come to The Lord of the Rings trying to find “religion by counting how many times they pray or go to church, we will be soberly disappointed…we need to look hard at the shape of the story itself, not at discreet acts of religion.” This is a rich application to our witness in our culture. The Word of God is more than a set of propositions we recite, it is a story we believe. While quoting Bible-verses is fruitful, establishing the story of redemption can be even more fruitful. I tend to believe that the medium of literature is a great way of preaching the gospel story. 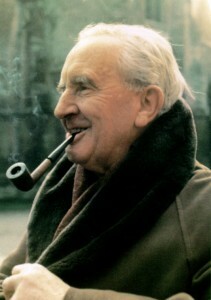 The subtlety of Tolkien’s words is that when an unbeliever reads or watches Tolkien’s art he is first captivated by the brilliance of it, then he is confronted with a series of questions about good and evil, the depravity of man, the wise counsel of Gandalf, the courage of Sam and Frodo, and the determination of Aragorn. All these have the effect of confronting unbelief with a world they are not familiar. Fantasy remains a human right: we make in our measure and in our derivative mode. Because we are made: and not only made, but made in the image and likeness of a Maker. Tolkien is echoing the Orthdodox understanding of mankind created in the image of God (Imago Dei). The reason we create stories is because we are imitators of the true Story-Maker. The best worlds are the ones that reflect and communicate our world. Good fantasy reflects our ability to create things after the likeness of God’s creation. Middle-Earth is a reflection of this world. This is why it is so realistic. The narrative of Middle-Earth itself is the religious element of the story. It contains hints of the Christian message, while refusing just to repeat it. C.S. Lewis in the Chronicles of Narnia was explicit in writing a Christian allegory for children. Tolkien wrote a mythology. Just because a mythology did not happen doesn’t mean it cannot relate to the truth. And this is what Tolkien did. At the end of LOTR there is a happy ending to this world. The world at the end is made new. Evil is destroyed. There is lasting peace in the kingdom. There are many sacrifices made, indicating that to achieve the world we believe the Gospel seeks will demand sacrifices from God’s people. It means we may have to abandon the Shire and speak against Mordor. It means we may lose the things we most cherish like Aragorn going into exile for the sake of what he loves most. But in the end, Tolkien is establishing a story built on a heroic community of people, from all sorts of different backgrounds, imperfect, but loyal to the mission of defeating evil. Fifth, parents: read, read, read! Do you want to capture your children’s heart and mind? Read to them. Ralph Smith is a CREC pastor in Tokyo, Japan. He has three very brilliant children. I asked him last year in Minneapolis what he did to cultivate a love of learning in his children. He said: “We read the Bible, Shakespeare, and everything else out loud at home. I wanted them to hear the Word before they could fall in love with it.” This is a good application for children in worship. Why do we insist that our little ones remain with us during Covenant Renewal? It is because we believe that the Word–even before they are reading– is effective to their hearing. It builds in them a vocabulary that expresses joy and knowledge, and truth. Finally, and by far, one of my favorite features of the Lord of the Rings is their incessant love of food. There is constant feasting in the Lord of the Rings. In Tolkien’s world, food is communal. It is to be shared. It brings people together and accentuates joy. The importance of what happens around these meals makes the sacrifice of war worthwhile and that let’s the reader know there is something worth fighting about. This is the beauty of Tolkien’s writings. He turns every situation into an act of preparation for war. This is the language we use of the Lord’s Supper. It is food given to us to prepare us for war. I hope Tolkien provides you some inspiration to look deeper at literature and realize again and again that this world is given for us, and the worlds and cultures we create need to reflect and pay homage to the Creator of the World, namely God Himself. Humphrey Carpenter, J.R.R. Tolkien, a Biography, 17. 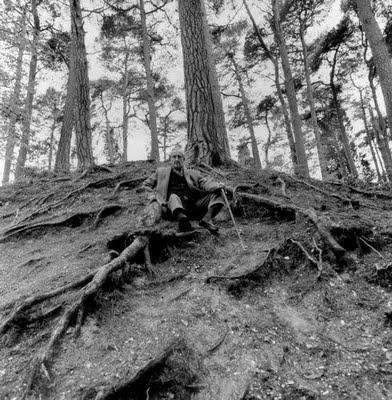 The basics of Tolkien’s love for trees and nature over his dislike for machinery were set early in his life. Later, the reader finds virtually all mention of “machinery” in The Lord of the Rings is associated with villains like Saruman and Sauron in the pursuit of power and the enslavement of others. The trees in Tolkien’s world are the Ents. They are the ancient giant, talking trees who become important allies in the fight against evil. The ancient rises to war against the present menace. Of course, Tolkien’s Roman Catholic background and their strong emphasis on the crucifixion of Jesus also plays a role in Tolkien’s thinking. This entry was posted in Tolkien. Bookmark the permalink.